Working with our local community to improve our services. In this section you can find out how you can get involved, from volunteering to fundraising for our charity. There are lots of ways in which you can learn about and get involved in what we do. In this section you can also find out about volunteering with us and the student programme we run for local students. 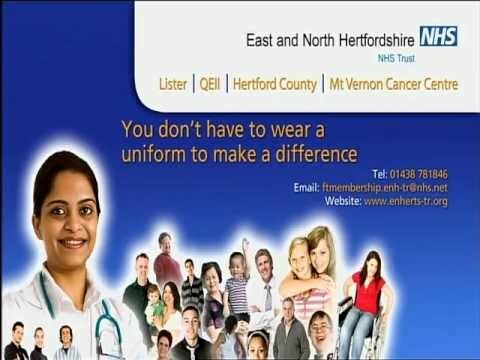 There is also information on our charity, the East and North Hertfordshire Hospitals’ Charity, who raise money to help pay for the extra things that make people’s time in hospital easier. Want to know what we do? Watch our video below. If you would like to become a member or would like to find out more about it please visit our member area.